Just like posters come in many styles and sizes so do our Poster Framing options. Whether you own a precious collector’s item or are wanting something decorative for the kids’ room, we will present your poster to meet your needs perfectly. We can make a frame to any size at all, contact us today! You may consider using UV protective glass on your posters. It will reduce fading and add a clarity that has to be seen to be believed. We have the highest standard of conservation framing materials available and proven techniques to preserve your precious poster while making it look great. 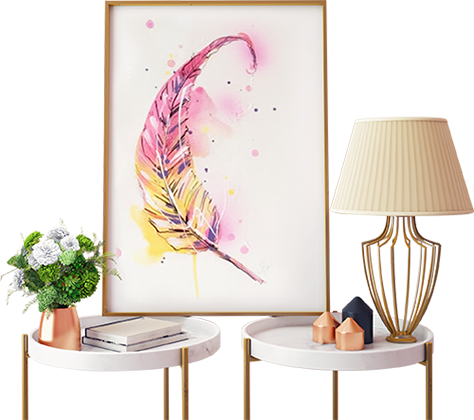 You will find in-store a range of readymade frames in different poster sizes. You can fit them yourself, or, pay a little extra for us to do it for you. We can also provide mat board borders cut to size while you wait. It’s a quick and super affordable way to get your poster up on the wall and looking nice and neat.